A game that challenges young minds to connect unrelated objects into one story! The first player picks a tile and starts a story that includes the picture on the tile. Each subsequent player picks a tile and continues the started story by adding the picture on their tile! 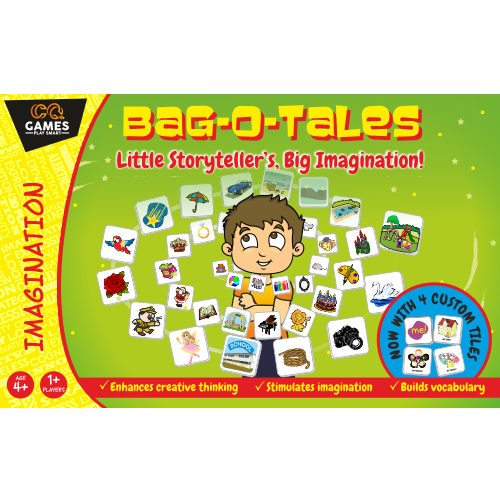 IMAGINATION STORY BUILDING VOCABULARY LEARN HOW TO PLAY → .PDF Instructions BUY NOW!